TOWCESTER TAXI AIRPORT TRANSFERS 01908 263263 RELIABLE ROAD TAXI TRANSPORT: Hero Taxi Driver Saves Regular Passenger From Blazing a House Fire. 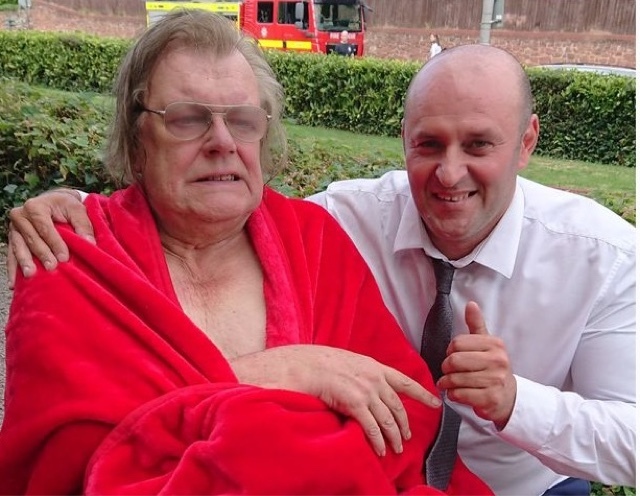 Hero Taxi Driver Saves Regular Passenger From Blazing a House Fire. A hero Taxi driver spotted smoke coming from the home of one of his regular customers and ran into the building to rescue him. 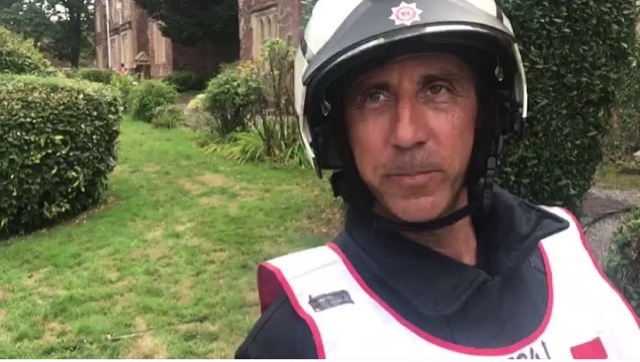 Cristian Dumitrescu was driving along New North Road when he saw the fire emerging from one of the almshouses near Exeter College. Aware that an elderly man - his regular customer John Hawkins - was likely to be inside he raced into the building and helped him to safety. Both men went to hospital where they were treated for smoke inhalation. Cristian said: "I was with a customer in my Taxi going to the station when I saw a house burning. "I begged the customer to wait in the cab and I ran to the house and heard someone who was screaming for help. "I opened the door and I got in the house...I heard a man's voice screaming for help on the first floor. "I couldn't see him because there was too much smoke. I got to him and put him in my back and I got out from the house." Jo Guscott, of Apple Taxis who Cristian drives for, said: "Cristian was doing a job and driving past when he saw smoke coming from the building and just had to stop to assist. "He had to run upstairs to where the man was in his flat and he helped him to safety. "He probably saved his life. "Cristian also came to the rescue of a man who fell of his mobility scooter in Stoke Canon. "He really is our hero." New North Road was closed for over an hour between Hele Road and Howell Road while fire crews tackled the blaze. One crew from Danes Castle, two crews from Topsham and one crew from Crediton attended the scene. Watch manager Sean Faulkner, from Danes Castle Fire Station said that the men escaped the building 'just in time'. "We're unsure how the fire started at this moment," said Mr Faulkner. "There was a fire in the first floor living room. One male was got out just in time as we arrived. "Flames were issuing from the flat involved. "We extinguished the fire from the property quickly and affectively and then used positive pressure ventilation to remove all the gases and make it safe for everyone to return. "There's fairly severe damage - a lot of heat and flame damage and 100 per cent smoke damage. "There's a big clean up operation but it could have been a lot worse. "Fortunately smoke detectors were in the property and they alerted the occupier. "It shows show important they are." New North Road was fully reopen again by 4.30pm.